Enterprise Holdings, the world’s largest car rental operator, recently opened a new branch to serve customers at Paine Field, a state-of-the-art airport in Everett, Wash. The location offers customers rental vehicles under the Enterprise Rent-A-Car, National Car Rental and Alamo Rent A Car brands. On March 4, 2019, Paine Field opened for commercial flights. The airport includes a newly minted passenger terminal and offers a convenient alternative destination for travelers looking to arrive in or depart from the northern Seattle area. Located near the terminal, Enterprise’s new location provides travelers convenient, on-the-ground transportation solutions. A shuttle service to the rental office will be available for every scheduled flight. The office is open seven days a week from 4 a.m. to 1 a.m. and offers after-hours returns. The branch is one of three Enterprise locations in Everett, Wash.
Paine Field has been transformed into a unique public-private airport, built in partnership with Snohomish Countyand Propeller Airports. Alaska Airlines and United Airlines will run a combined 24 daily flights with service to and from nine destinations in the western continental United States. Passengers at Paine Field will enjoy a world-class terminal with state-of-the-art amenities and services. The airport is located just minutes away from major companies and business districts in the Seattle area, making it an accessible choice for business travelers. For more information about Enterprise, visit www.enterpriseholdings.com. Based in Everett, WA, Propeller identifies untapped potential for commercial air travel by working with local communities and government to maximize airport assets. Propeller Airports is focused on opportunities to invest, develop and manage both general aviation and commercial service airports through-out the U.S. For more information please visit www.flypainefield.com. 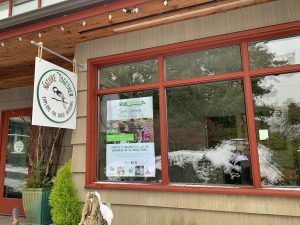 Saturday, March 2, 2019, Nature Together will be opening their retail space in Old Towne, Mukilteo. Come out and celebrate from at 10am to 4pm. The space offers an assortment of fun and interesting items all inspired by nature. Nature Together sell books, clothing, toys, jewelry, home and lifestyle accessories—just to name a few. Each item is intended to deepen your love for the great outdoors or to inspire you to get outside and explore. They also have a classroom space where we offer story times, birthday parties and other programs. Nature Together was created by local Mukilteo resident, Kristin Hammer. For those of you who are unfamiliar with Hammer, she operates a local outdoor pre-school called Nature Together, where children learn about and explore nature in the Japanese Gulch. The Nature Together retail shop is located at 619 4th St, Ste C Mukilteo, WA 98275 in between the Mukilteo Chocolate Shop and The Red Cup Café. Mukilteo, WA Diamond Knot Brewing Company is taking 2019 by storm with three new beers offered in cans and draft along with two beloved styles in a new package. The Flagstate IPA, a hop forward IPA that drinks smoothly without overwhelming bitterness. The Tropic Island Stout with fruity aromas that come from a specialty yeast with flavors reminiscent of Caribbean rum, and the Lower Deck Lager, which is a hop forward lager with an intense citrus aroma and clean caramel undertones. They will also offer the Northwest Blonde year-round and the Premium Series will be kicked off with the Industrial IPA. Flagstate IPA is a hop forward IPA, lighter in color and much less bitter than other IPAs that DKB has brewed in the past. Flagstate IPA is a daily drinker that you will want to keep in your fridge to have on hand when you get off work. 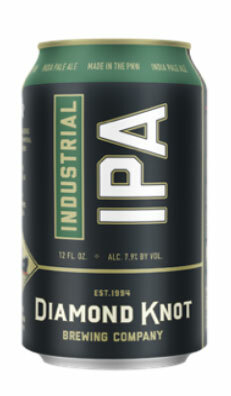 “This IPA is nothing like the IPA that Diamond Knot has been brewing since 1994,” says Brewery Production Manager Brian Guerrant “Our focus on innovation in 2018 led us to this updated flavor profile that is sure to please northwest beer drinkers”. Tropic Island Stout is a year-round stout that is not heavy and is surprisingly refreshing for a dark beer with smooth undertones of brown sugar followed by a roasted barley backbone. “On the beach or the slopes, you will love this beer” noted one of Diamond Knot’s latest hires, Grady Warnock, who has a degree from the World Brewing Academy, Siebel. The Tropic Island Stout recipe comes from Eric Plummer, who is an integral part of the R&D program. Lower Deck Lager is a traditional lager with a west coast twist. Incredibly refreshing and crisp, this beer has a citrus aroma and a pleasant hop bite followed by a complexity brought on by the smooth malt background. “I am excited to finally share what our brewers were able to do with this style,” said DKB’s Sales Manager Josh Russell, an industry veteran who came aboard in 2018, “It’s a damn fine Lager”. “Not only are we excited to release three new beer styles in package, we are thrilled to share our new branding”, declared President & CEO Andy Eason “We have worked very hard alongside the amazing folks at Blindtiger Design to keep the integrity of our brand while refreshing our look. 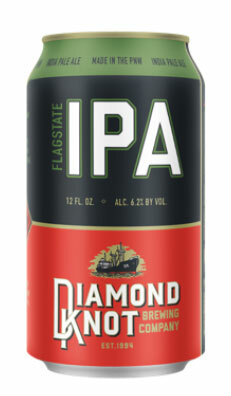 With a focus on R&D, quality control and being able to control our product from conception all the way to finished packaging, the next chapter of Diamond Knot Brewing Company will be sure to delight beer enthusiasts across the northwest”. 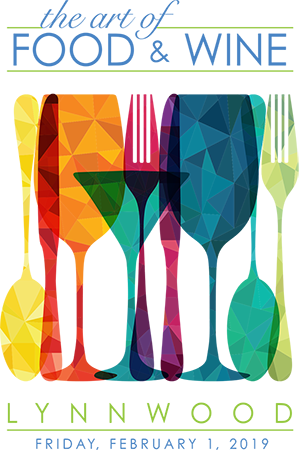 This fun new community event will raise funds for murals and other public art projects in Lynnwood. 21+ only, IDs will be required for entrance. Lynnwood High School Jazz for sending the next generation of musicians to entertain!